My wife recently purchased a FitBit Alta activity tracker that she absolutely loves. She is constantly looking at the number of steps she’s taken throughout the day, and rejoices like a child when she hits a milestone (i.e. 10,000 steps) and her watch vibrates and a graphic appears to let her know. On days her step count is on the lower end, Marina has roped me in to take evening walks to play catch up. She had been pushing for the both of us to get fitness trackers for a while, but I was largely dragging my feet as I wasn’t convinced I’d regularly use one. Additionally, as I tend to be fairly intrinsically motivated when it comes to physical activity, I questioned how much more motivation such a device could provide. Then, one day, Marina simply came home with a FitBit on her wrist; the change in her behavior has been dramatic. Since she is fairly competitive and unable to do anything half-assed, a goal of 10,000 daily steps (what most authorities suggest adults should attain) simply wasn’t enough. Unless she gets over 15,000 steps in a given day, she’s somewhat disappointed. I must say I am surprised at how effective this little device has been in encouraging Marina to be more active. Naturally, I wondered if there is any literature to support the notion that fitness trackers can motivate people to become more active. Back in 2007, Bravata and colleagues published a meta-analysis (study of studies) in the journal JAMA looking at this exact association. To get at the question of whether something as simple as a pedometer can increase physical activity and improve health, the authors collected data from 26 studies with a total of 2767 participants met inclusion criteria. Overall, pedometer users increased their physical activity by 26.9% over what they reported at baseline (prior to having a pedometer). In the 8 randomized controlled trials (RCTs) found, pedometer users increased their physical activity by 2491 steps per day more than control participants. And the benefits didn’t stop merely at the number of steps. When data from all studies were combined, pedometer users significantly decreased their body mass index by 0.38 kg/m2 and decreased their systolic blood pressure by 3.8 mm Hg. These are pretty impressive findings given the absolute simplicity of the intervention. Interestingly, an important additional predictor of increased physical activity among pedometer users was having a step goal such as 10,000 steps per day. So it’s not enough just to track your steps – you need to have a daily goal in mind to motivate yourself to rack up more steps when you’re lagging behind. Of course what we don’t really know is how enduring this effect is; do people stop tracking their steps (and those evening walks) once the novelty of their tracker wears off? 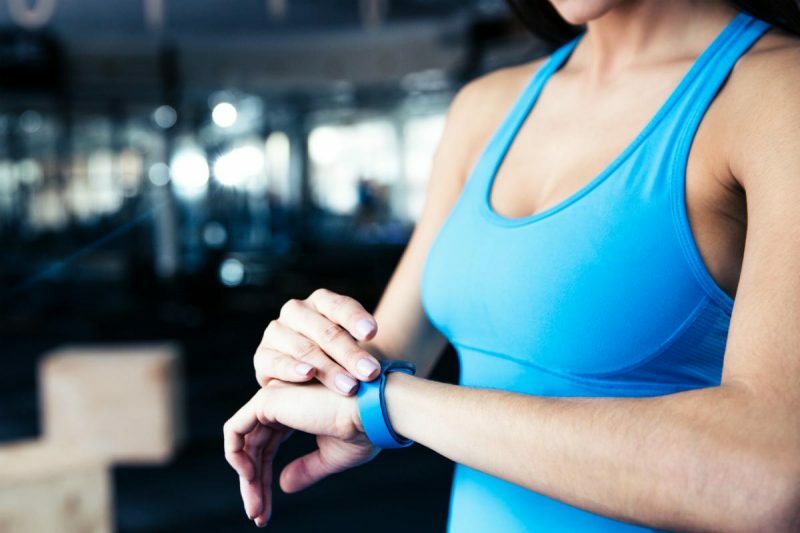 Take home message: activity trackers (especially when combined with a daily activity goal) appear to markedly increase physical activity (at least in the short term). I might even get one and see how I fare. Reference: Bravata et al. JAMA. 2007 Nov 21;298(19):2296-304. Source: Does a Fitbit make you more active?